WASHINGTON, Jul 21 2014 (IPS) - Pressure is building here for lawmakers to pass a bill that would funnel billions of dollars of U.S. investment into strengthening Africa’s electricity production and distribution capabilities, and could offer broad new support for off-grid opportunities. With half of the U.S. Congress having already acted on the issue, supporters are now hoping that the Senate will follow suit before a major summit takes place here during the first week of August. That event is expected to include heads of state or representatives from as many as 50 African countries. The summit, the first time that such an event has been organised in Washington, will focus in particular on investment opportunities. As such, many are hoping that the three-day event’s centrepiece will be President Barack Obama’s signing of a broad investment deal aimed at Africa’s power sector. “The overwhelming majority of the African leaders are going to be coming to Washington emphasising trade and investment, and in that context this issue is very central to their many constituencies – touching on economic, political and social issues,” Ben Leo, a senior fellow at the Center for Global Development, a think tank here, told IPS. A U.S. Senate subcommittee did pass a bill, called the Energize Africa Act, late last month, but much remains to be done. The legislation now needs to be voted on by the full Senate, after which the final proposal would have to be brought into alignment with a similar bill voted through by the House of Representatives in May. Meanwhile, the entire Congress is scheduled to go into recess for a month at the end of July. Still, backroom talks are reportedly well underway. Some 68 percent of the sub-Saharan population lacks access to electricity. Both the House and Senate bills would seek to assist African countries in expanding basic electricity access to some 50 million people. “Our support for this bill is a direct response to what we hear from African leaders, citizens and global development experts,” Tom Hart, U.S. executive director of ONE, an advocacy group that focuses on eliminating poverty in Africa and has mounted a major campaign in favour of the Senate bill, said in a statement. The current legislative push comes a year after President Obama unveiled a new initiative called Power Africa, proposed during his June 2013 trip to the continent. Seen as the president’s signature development plan for the region, Power Africa aims to double energy access in sub-Saharan countries through a mix of public and private investment. While Power Africa is ambitious, its long-term impact greatly depends on the legislation currently under debate. For instance, while Power Africa directly affects just six countries, the bills before Congress take a continental approach. Likewise, as an executive-level project, the initiative’s policy priorities can only be cemented through full legislation. 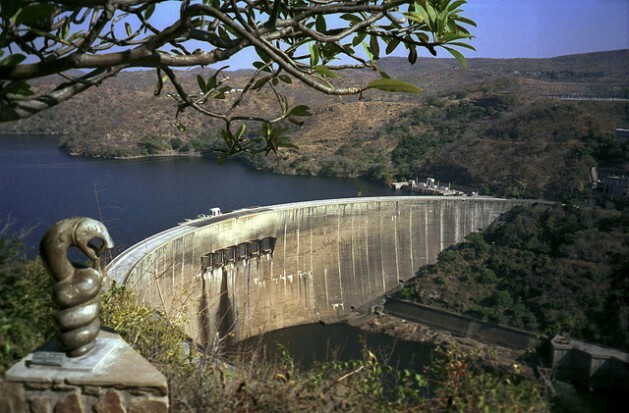 Power Africa initially came under significant fire from environmental and some development groups for its reliance on fossil fuel (particularly natural gas) and centralised power projects. Many groups say that such a focus is ultimately counterproductive for poor and marginalised communities. Yet last month, the United States announced a billion-dollar initiative to focus on off-grid energy projects across the continent. This approach could now be codified through the legislative discussions currently taking place in Congress. To date, Guay says, most investment from the U.S. government and multilateral agencies has skewed in favour of fossil fuels and centralised power generation. For the first time, the new legislation could start to balance out this mix – a potential boon for the environment and local communities alike. “If you look at the energy access problem in sub-Saharan Africa, it’s largely a rural issue. So this bill could stimulate distributed, clean-energy solutions that can get into the hands of poor populations today, rather than forcing them to wait decades in the dark for power,” Guay says. The House’s companion bill includes fewer progressive provisions than the Senate version, but it also doesn’t include amendments that could deliberately doom the legislation. Still, it remains to be seen how conservatives in the House react to the Senate’s proposals. These new opportunities have broadened support for the Senate’s legislation. On Friday, for instance, the Global Off Grid Lighting Association, a Germany-based trade group, expressed its “strong support” for the Energize Africa Act. The legislation is also being welcomed by African environmentalists. “We believe this bill has emerged as a strong source of support for our efforts to address energy poverty,” Mithika Mwenda, secretary general of the Pan African Climate Justice Alliance, said in a letter to U.S. lawmakers from earlier this month. Meanwhile, both the House and Senate bills have enjoyed an unusual level of bipartisan support. Still, it’s not clear whether that will translate into the passage of a new law – particularly by the U.S.-Africa Leaders Summit, slated for Aug. 4-6.